European equities are set to fall on the open following overnight news that a case of Ebola has reached New York. Another bout of better than estimated corporate earnings in the US led by Caterpillar (up 5%) had driven the Dow Jones more than 200 points higher to 16,702 during the regular cash session. However, when the story broke that a doctor in New York had tested positive for Ebola after returning from West Africa, we saw a sharp sell off in Dow futures. The index saw an initial spike lower of more than 100 points and, whilst it has rebounded slightly at the time of writing, it is still in the red. Interestingly, whilst European markets are set to take their cue from the overnight moves in US futures, Asian markets seem to have shrugged off the concerns, instead taking their cue from the positive cash session. Global stock markets have staged an impressive comeback following the recent sell off, but the foundation of the rally continues to look shaky. All the sources of uncertainty surrounding the world economy are still hanging over us, with prospects for growth being repeatedly revised lower and central banks still having to sing their dovish song to keep everyone happy. It feels as though it would only take a few traders to get skittish to tip the markets back in the favour of the bears. European stock markets are set to decline on the open following weak overnight sessions in the US and Asia. Despite Europe's best efforts at making a definitive move off the recent lows, the bulls are set to be thwarted as today's open should wipe out all of yesterday's gains. Although the apocalyptic visions from last week have abated, there's too much lingering uncertainty preventing bargain hunters from stepping in, so we may see a period of consolidation until we get some sort of clarity. Today's PMI data deluge from Europe could give equities a nudge higher if they continue to deteriorate and put additional pressure on the ECB to introduce full quantitative easing. Data from the US suggested that the cost of living unexpectedly rose in September, with investor sentiment turning negative after the previous few days of rally, so the Dow Jones lost 125 points to 16,503. It remains to be seen whether corporate results can be the main driver going forward considering that more than 70% of the companies that have posted earnings so far have topped forecasts. Yesterday's positive sentiment seems to be continuing as European stocks look to start on a firm footing. Things looked a little nervy at the start of yesterday's session but reports that the ECB are thinking about purchasing covered corporate bonds in the secondary market gave the bulls the green light for a rally. CFD trading investors speculated that the European Central Bank is not going to let the situation spiral into deflation and risk dragging the whole world back into recession. From there it was all one way action right into the close and US and Asian markets carried on that bullish theme. 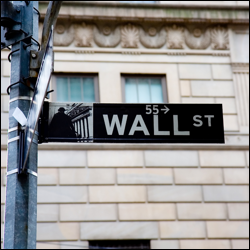 The feel good factor managed to push the Dow Jones 200 points higher to 16,638. There's still a lot of debate and chatter about whether the gains are just a 'dead cat bounce', and considering that global growth woes are still so pervasive, it wouldn't take much of a data miss to slam this feline carcass back to the ground. A determined effort from across the Atlantic saw most US markets claw their way higher to finish modestly in the green yesterday, fighting tooth and nail against bearish news. The Dow Jones had initially started the day on the back foot as investors were still weighing the risk of contagion from weakness in Europe. The slump in the International Business Machines might have stopped the Dow from going into positive territory altogether, however, corporate earnings still look in pretty good shape overall and so we saw a rebound during the afternoon. In the end, the Dow fought back to close fairly flat at 16,440 and some of that resilience is filtering through to European equities this morning, which are set to open a little higher. This is being accentuated by some interesting GDP data from China which is keeping bullish heads just above the water as the reports hit the 'goldilocks' zone. Although growth declined to a 5 year low, it wasn't a seismic contraction and perked up the bulls' interest on hopes that Beijing will step in to stave off a deeper collapse. Amid a generally better than expected corporate earnings season, consumer sentiment in the US managed to surpass estimates on Friday, reaching a seven year high. In reaction, the Dow Jones accentuated its initial bargain hunting rally and finished the day 272 points higher at 16,387. European stocks are set to open higher this morning as the positive momentum from continues. There have been no especially positive headlines out over the weekend, and the same storm clouds of Eurozone recession, Ebola, the end of loose monetary policy and whatever else was being blamed for the sell off, are still hanging over the market. However, such a steep and rapid move to the downside seems to have quelled the spread betting markets need to correct. Quite how investors will react to this week's data and earnings deluge is another story though, and with sentiment remaining so fleeting, it could quite easily turn on a whim again.